If you love spending time outdoors and looking for something unique to do while in Rome, LivItaly’s Private Appian Way Bike Tour is a wonderful option! 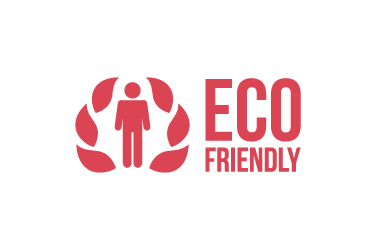 Meet your private LivItaly guide in central Rome and get comfortable on your electric bike. Enjoy a lovely scenic route out into the countryside, past the ancient Roman Baths of Caracalla. Ride through archway doors arriving at Via Appia Antica, the most important ancient streets of Rome. Journey along this lovely cobblestone path, lined with ancient historical sites. Stop at tombs, churches, mausoleums and even an ancient arena, and learn their fascinating stories. 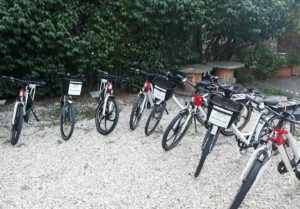 Enjoy this unique experience, riding your e-bike out in the countryside amongst ancient Roman relics. 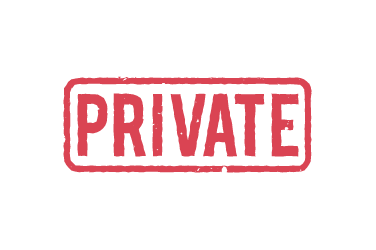 WHY TAKE A PRIVATE APPIAN WAY BIKE TOUR? On a private tour like this, you have your very own private LivItaly guide to show you around. 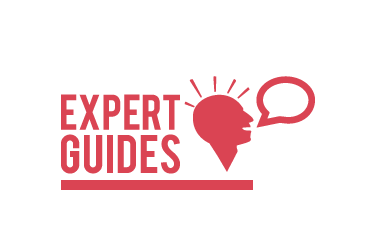 Having an expert guide all to yourself is a real treat, as you get more personalized attention and the opportunity to focus on particular aspects of the tour that you find most interesting. It is a chance to immerse yourself completely, with a local guide that starts to feel more like a friend! 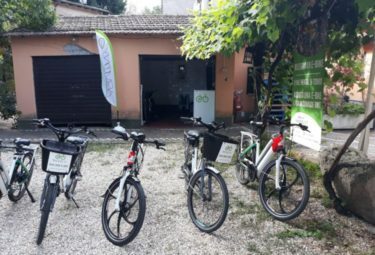 Electric bikes are one of the best ways to explore Via Appia Antica, giving you the chance to see a lot more without getting tired. On these e-bikes you don’t need to pedal a lot to travel far, so you can look forward to exploring up to 4 miles of this lovely ancient road with ease. 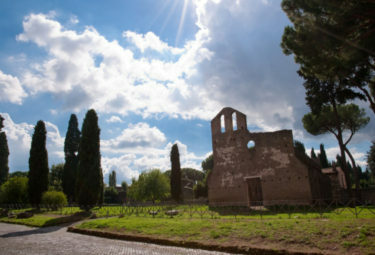 Journey along Via Appia Antica in the best way and enjoy the fresh air and unique surroundings in comfort! With your private LivItaly guide alongside, journey along this storied cobblestone path out in the countryside, learning its fascinating story and stopping along the way at its many incredible ancient historical sites. Get up close to the large basalt stones of volcanic rock used to build the original road and begin to imagine the many who traveled along this path between Rome and the south thousands of years ago. 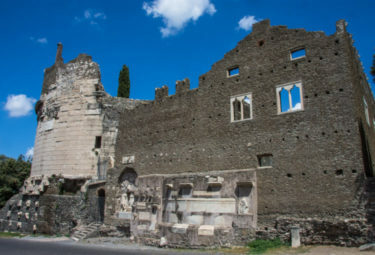 Discover why Via Appia Antica was also used as a funeral street, as you see many tombs and mausoleums along the way, stopping at the most famous of all, the well-preserved Mausoleo di Cecilia Metella (The Tomb of Caecilia Metella). 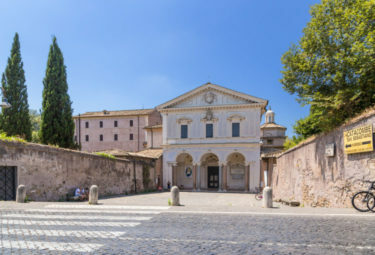 Continue on, stopping outside the Church of Quo Vadis and learn the well-known parable of St Peter seeing Jesus here, inspiring him to return back to Rome instead of fleeing persecution. The endless number of ancient landmarks and fascinating stories lining this path will be sure to amaze you! Stop along the way at San Callisto Private Park and San Sebastian Church, as your private guide tell you about the fascinating catacombs that lie beneath the ground. 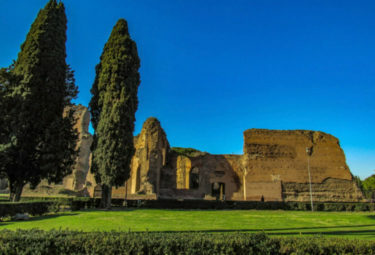 Stop at Villa di Massenzio and Circus of Maxentius, the second largest arena in Rome after Circus Maximus, and marvel at how beautifully preserved it is with much of its brickwork still in tact. Enjoy the freedom of riding your e-bike along Via Appia Antica, uncovering its endless treasures with ease along the way. As you ride further out, covering up to 4 miles of the 40-mile stretch, you will start to get a real sense of how long and important this road really was in building the Rome we know today! Along Via Appia Antica, after the Church of Quo Vadis, you will pass the San Callisto catacombs (Catacombe di San Callisto). These were founded in the 2nd century and became the official cemetery of the newly established Roman Church. As Christians of Rome didn’t have their own cemeteries, unless they had their own land, many buried family members here. The San Callisto catacombs are some of the oldest catacombs along Via Appia Antica, and a fascinating place to explore. San Callisto catacombs are also some of the largest catacombs, with 12 miles of tunnels, some tunnels at 70 feet high! Not to mention that they house the remains of about half a million Christians, including 16 popes and many martyrs. Inside you will also see early Christian art, such as drawings and frescoes on the walls depicting early scenes from the bible, as well as Christian symbols like the dove. It is no surprise that these catacombs have become so popular amongst visitors, and while you are on Via Appia Antica, they are worth a visit! 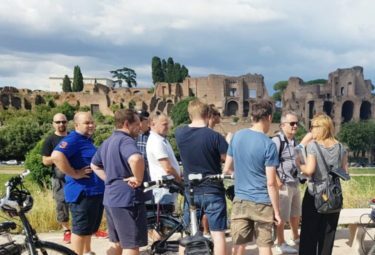 Your three-hour tour comes to an end after exploring up to 4 miles of Via Appia Antica on your e-bike with your private guide. 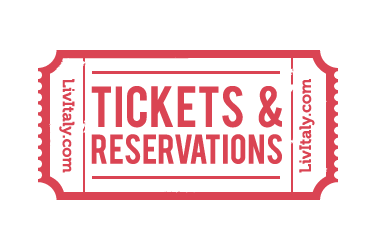 You will have seen so much and experienced another layer of ancient Rome in a fresh way. After the bike tour, make a full day of it and go back and visit some of the main sites on your own, like The San Callisto catacombs. Enjoy this unique experience, out of the hustle and bustle of Rome, out in the countryside amongst ancient Roman relics! 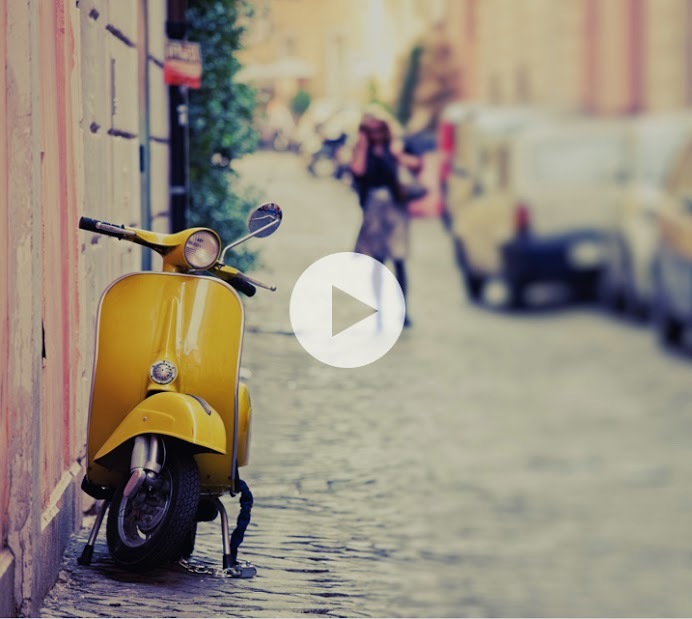 Enjoy an afternoon of exploring Rome on an E-Bike with our expert guide by your side! 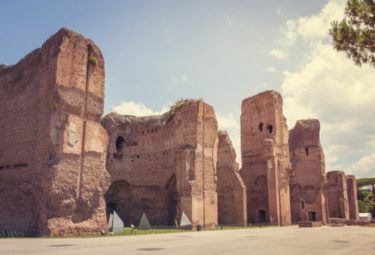 Start your private e-bike tour by biking by Terme di Caracalla, Rome's ancient public baths. Learn all about the cities history while you are biking with our expert guide by your side! Get the chance to take a break and admire the beautiful ruins throughout Rome. 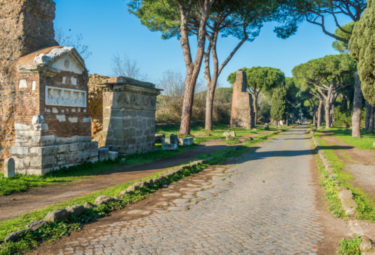 Your guide will take you to Appia Antica, Rome's oldest road! Get ready to fall in love with this picturesque road while learning about what it was used for. Take a break outside of San Sebastian Church to hear about why this church popular with pilgrims. Continue your bike ride through Appia Antica until you reach the Tomb of Caecilia Metella. 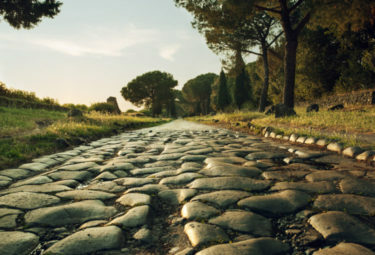 Be amazed by the vast history that you will learn about this ancient Roman road. 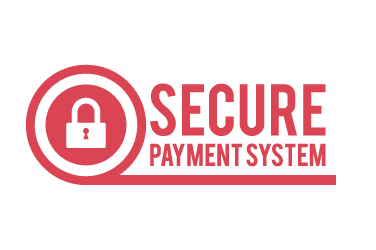 With the transfer option a private chauffeur will pick you up directly from your hotel's lobby and drive you to the meeting point where you will be greeted by your tour guide. 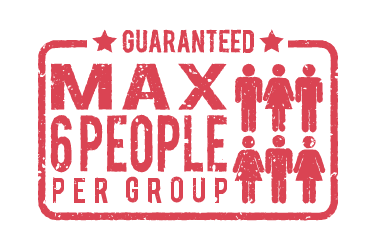 Guarantee stress-free. One way only.